Call for all Muarian! Great news for you all! Mika’s is opening our very first café in Pesta, Muar. 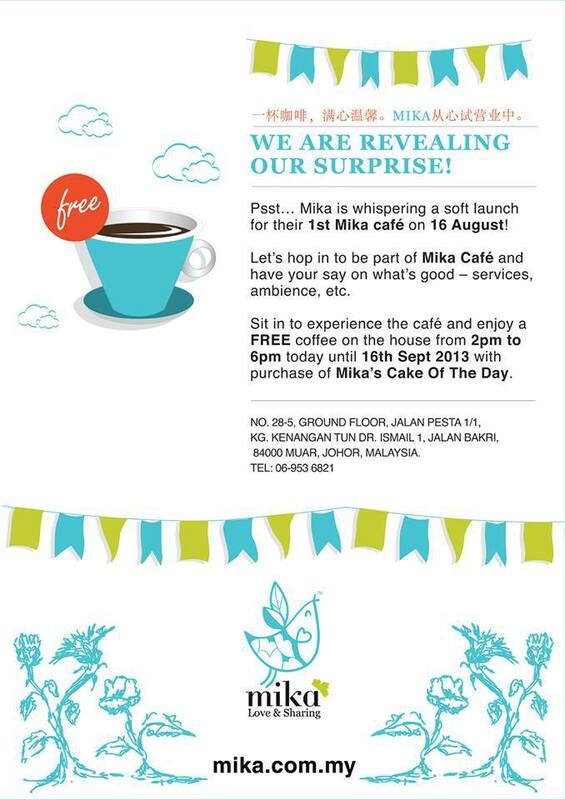 Sit to experience the café and enjoy a FREE coffee on house from 2pm to 6pm today until 16th Sept 2013 with purchase of Mika’s Cake of the Day. 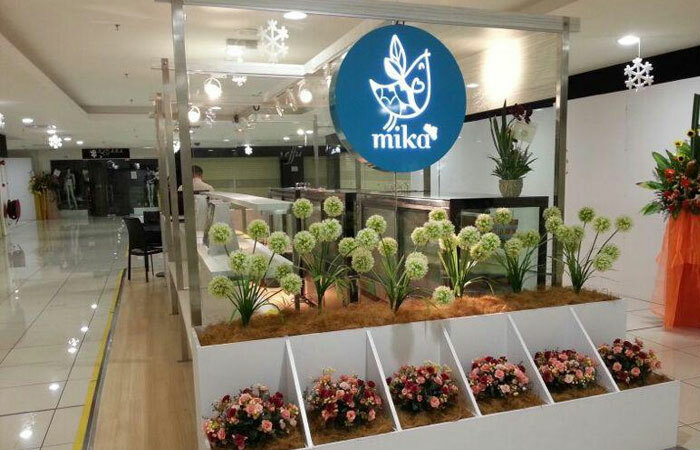 Opening: Mika’s City Square Branch is Now Open! Great News! Mika’s City Square Branch is now open! Click like and share this exciting news! 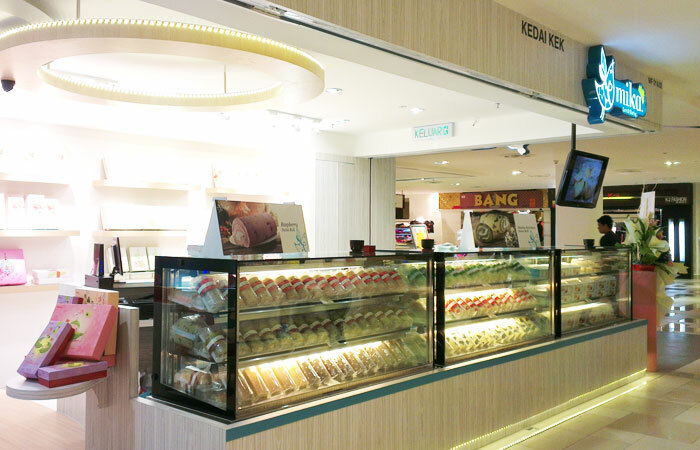 Mika’s Sutera Mall Branch is now Opening! Great News! Mika’s Sutera Mall Branch is now Opening! Click like and share this exciting news!